Do You Need a 4-Wheel Drive in Iceland? The answer to whether or not you need to rent a 4-wheel drive vehicle in Iceland comes down to two big questions. Where do you want to go and when do you want to go? That’s because 4x4 cars are required to access certain parts of Iceland’s interior, also known as the Highlands. They’re actually mandated by law, so if you don’t have this type of vehicle, you’re prohibited from driving on these special roads. It’s a little confusing though because these mountain roads or F-Roads are not open all year long. If you're just driving on the Ring Road you may not need one of these types of cars. So let’s look at exactly when you do and do not need 4WD and where you can and cannot go. First things first, let’s talk about F-Roads. These types of roads are simply mountain roads (“fjalla” is the Icelandic word for “mountain”), and you’ll find them all over the inner parts of the island. This includes the Icelandic Highlands and places like Landmannalaugar. While many of Iceland’s over 2.2 million tourists stick to driving around the Ring Road, there are plenty of others who want to go further inland and really explore. This is where 4-wheel drive vehicles come in. There are high passes to cross, curves to navigate, and rivers to ford deep in Iceland’s interior. You’ll also find many unpaved, icy, gravel roads. A 4WD with a good pair of sturdy snow tires is your best friend during these exceptional driving circumstances. You are required by law to have a 4x4 car, SUV, Jeep, or campervan to access these zones. Many rental companies will even put a sticker on your car’s dashboard if you rented a regular 2WD vehicle. This gentle reminder will say something along the lines of “Don’t drive on F-Roads". And if I were you, I would take their advice. Anything that happens to your rental when driving somewhere you shouldn't, your insurance doesn't cover it. You’ll know it’s an F-Road because it is marked with an F before the number of the road. So for example, Fjallabaksleið nyrðri is F208, or mountain road 208. There are also places like the Westfjords where roads and driving conditions are a bit dangerous, so a 4WD is highly advisable. So now that you’re an expert on the topic of F-Roads, let’s delve a little further into whether or not you need a 4-wheel drive for your Iceland road trip. Due to constantly changing conditions on the ground as well as melting ice and snow, F-Roads are too dangerous to drive on during the fall winter and spring. The Icelandic Road and Coastal Administration closes these roads and only opens them up when they are once again passable. The opening date changes every year and is different for each individual road. Every year the body that governs road openings and closings publishes a brochure for foreign travelers. It comes out during the first few weeks of summer, and you can consult approximate dates for when the roads open. In years past, the earliest opening dates have been the last two weeks of June. The latest opening dates are usually during the first two weeks of July. Some roads have even delayed opening until the end of July during certain years. It all depends upon the condition of the roads. If you plan your vacation to Iceland during the month of August, you should be fine. If you are driving in Iceland in the winter, you may also want to consider renting a 4x4 vehicle. While the Highlands and F-Roads are not open, there's another crucial factor to think about. Ice and snow cover Iceland during most of the year. The roads are slick, slippery, and can be quite treacherous. Add low visibility and snow storms in the mix, and you've got a potentially deadly cocktail. 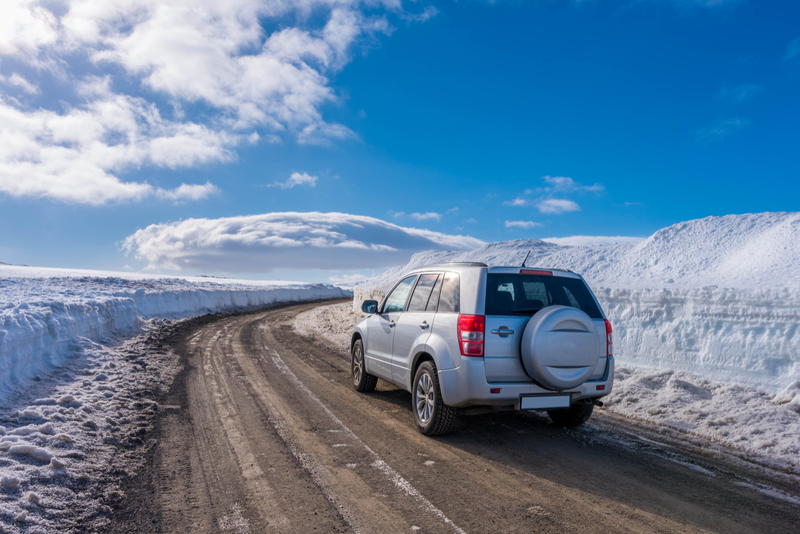 Renting a car with 4WD is a great option for winter driving in Iceland. Not only will your snow tires provide needed traction to really grip the road, but having all-wheel drive will give you greater control over your vehicle. Black ice is scary, and if you find yourself spinning out, you'll have a much better chance of not having an accident if you’re driving a 4x4. Like many things in life, the answer is: it depends. If you plan on exploring the Highlands, you absolutely need a 4-wheel drive in Iceland. If you're just going to make your way around the Ring Road, you don't. And if you're coming between the winter months of November to March, I would recommend a 4WD vehicle. Hope this cleared some things up.